Another busy week filled with school trips, leavers parties, school discos and potty training. This has meant lots of pretty dresses being worn and a lot of washing too. We decided to join in with Dry Like Me's #pottytrainlive this week and I have been super impressed with how quickly Layla has picked things up. Ok there have been quite a few accidents but there have been just as many successes on the potty, she definitely isn't a baby any more. Friday was Gracie's leavers party at playschool and I had to fight back the tears, still can't believe she starts primary school in September. And now the Summer holidays start, yay!! A lazy Sunday morning watching TV in mum and dads bed. Layla was watching television whilst drawing, a born multi tasker!! Elise was having a chat with her teddies. Gracie was spending time with my godson and Freya spent the evening running away from the camera. Elise was twirling infront of the mirror whilst Gracie was attempting a head stand. 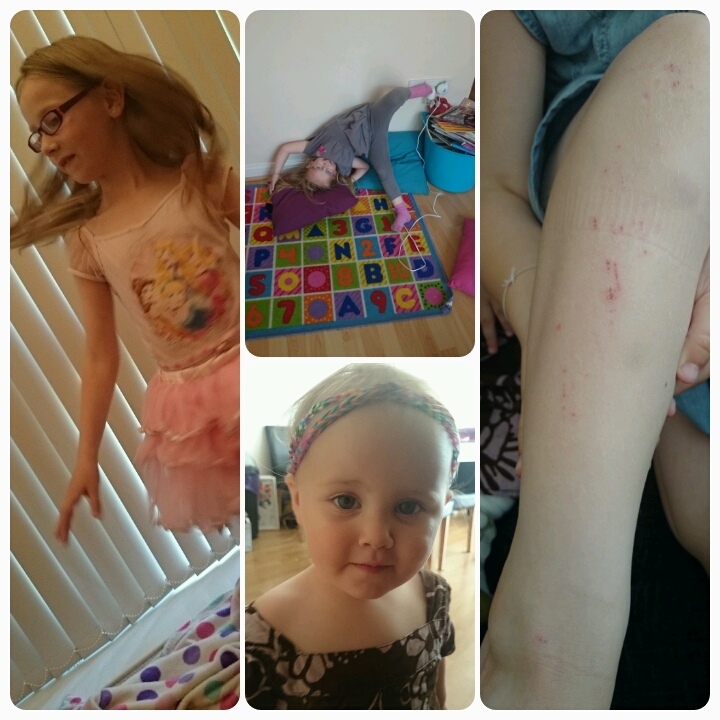 Layla was wearing her sister's loom band headband and poor old first aid Freya fell over again!! 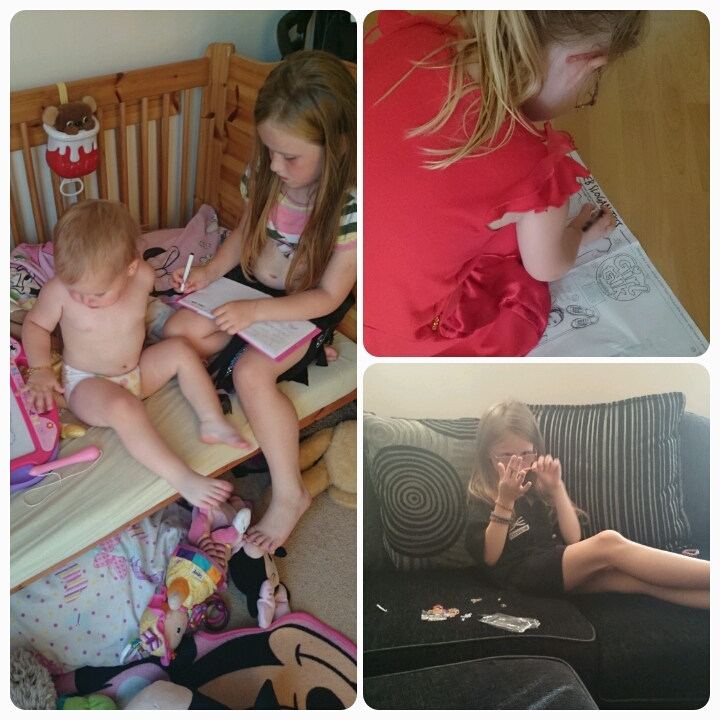 A couple of nice pictures of Gracie and Freya today. 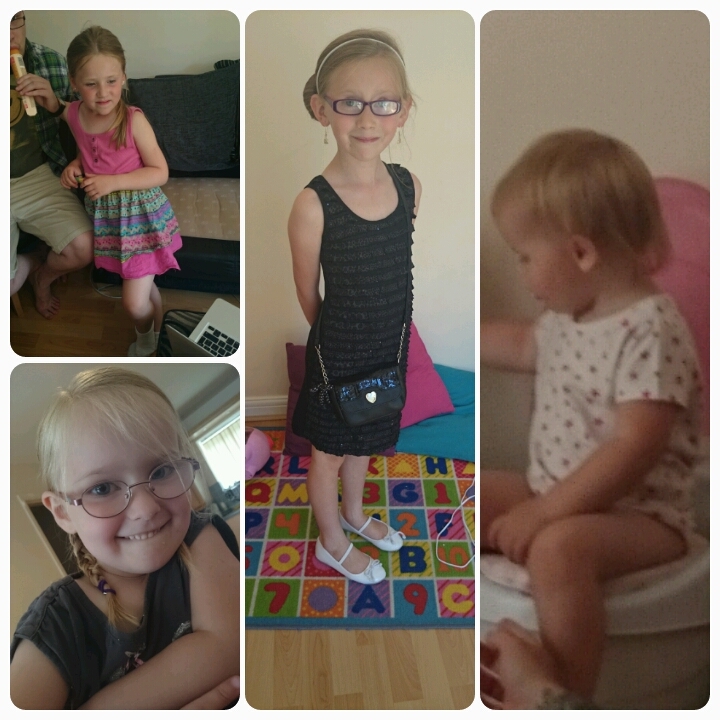 Elise looking all grown up for her school disco and Layla weeing on the potty. 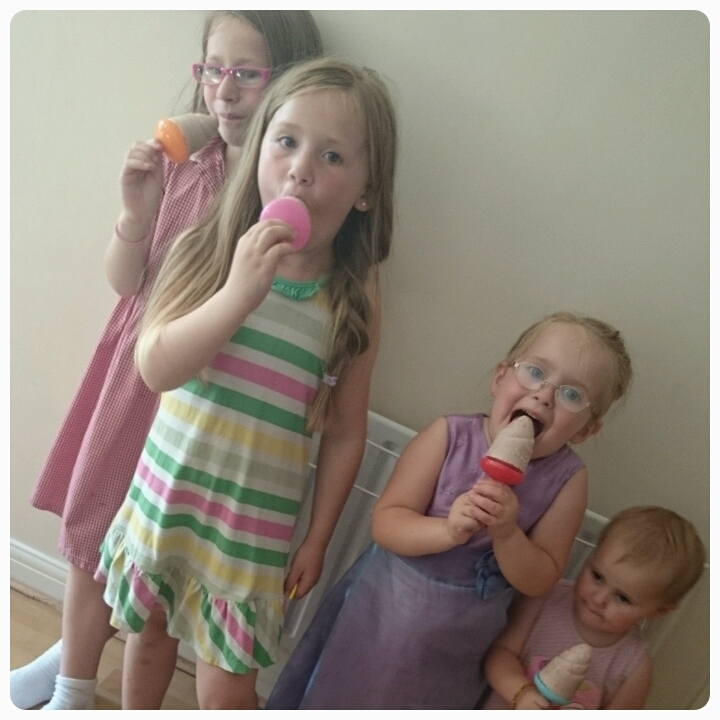 The girls were tasting my first ever attempt at freshly made smoothie ice lollies. It's raining outside, boo!!! 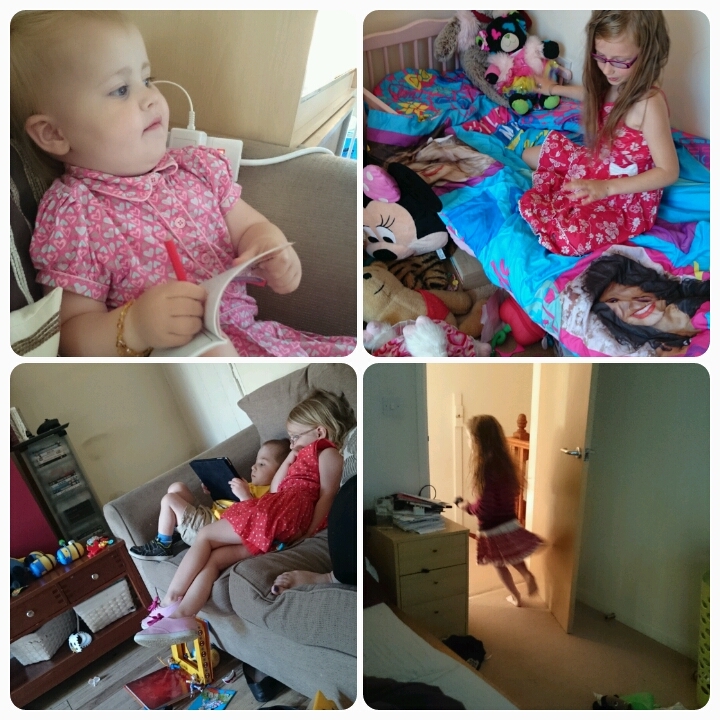 So it has been a slow start today, pjs are still on and the girls have found things to entertain themselves. Elise and Freya have very long hair! Those smoothie ice lollies look fab, she looks so grown up all ready for the school disco. It is super scary how old she looks sometimes!!! Sorry if my comment duplicates, but the other doesn't seem to be showing! I love the smoothie lolly piccies, they look yummy! The picture of the girls dressed up is super cute too. 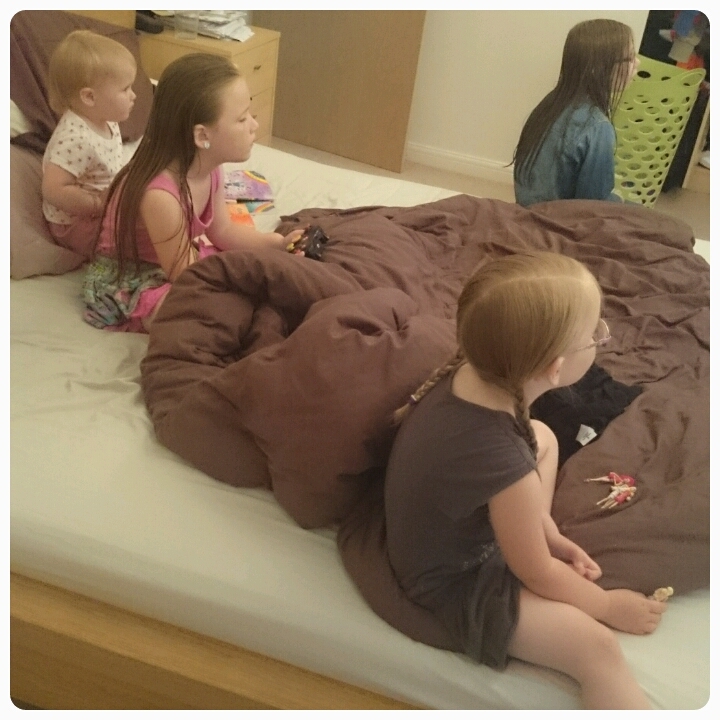 how lovely having 4 girls. 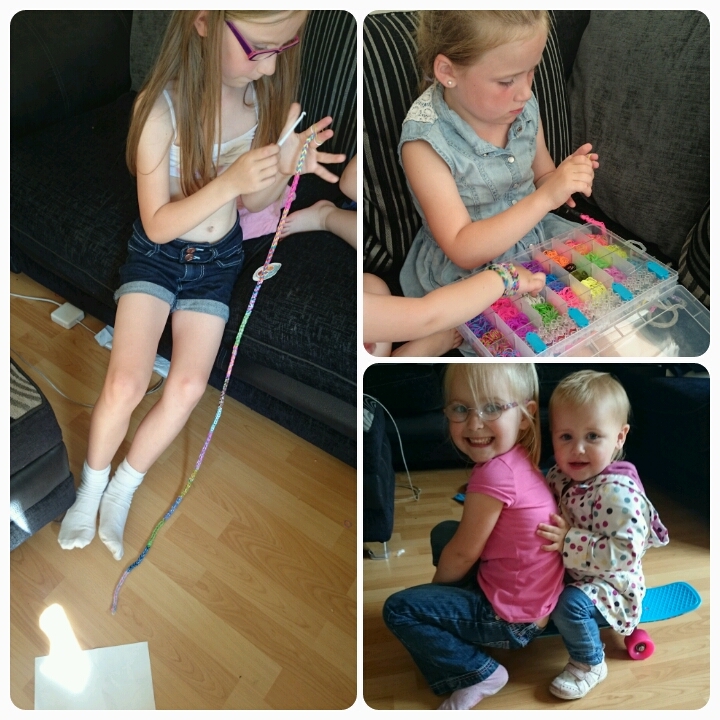 The dreaded loom bands appear again...when will the loom band madness stop? Gosh Layla looks really grown up in that headband shot! I had A's leavers from play group too this week, where has the time gone?